Historical and architectural tour in Georgia, so called “Tour to the Past”. 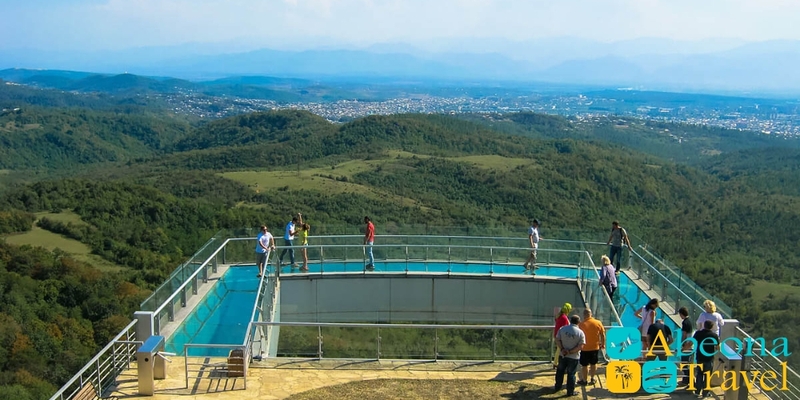 The most famous sights are gathered here for you regarding History of Georgia, legends and traditions, which will be told by our experienced guides. If you think how to spend your vacation? 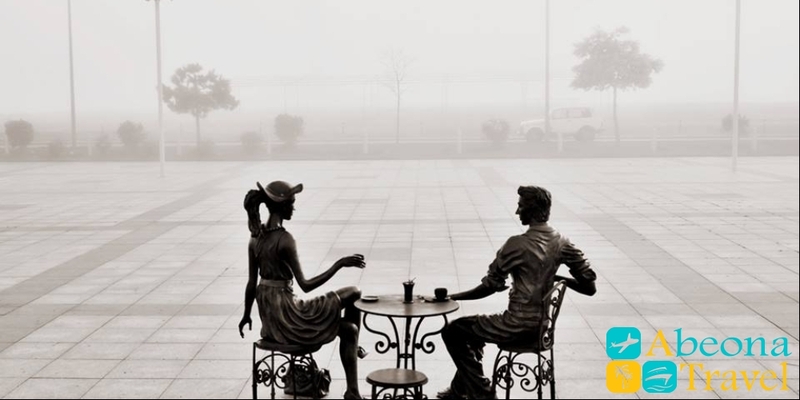 In the “Tour to the past” we will offer something special for you. 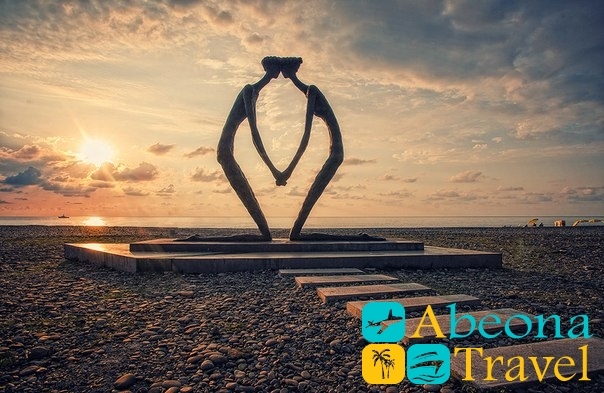 Book your travel packages with tour operator Abeona Travel Georgia. We will take care of your Georgia vacation from beginning to end. Breakfast in the hotel. City tour in Batumi. Batumi seaport – building of present harbor station was built in 1962 upon the project of architects Novakov and Kremliakov. 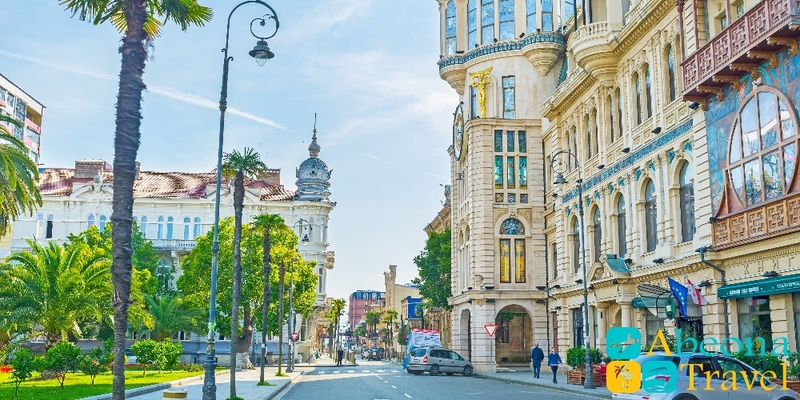 The building is considered to be the one of the symbol of Old Batumi up to date. Miracle Park and Lighthouse – history of lighthouse took its beginning from the period of Turkish Rule in Adjara. 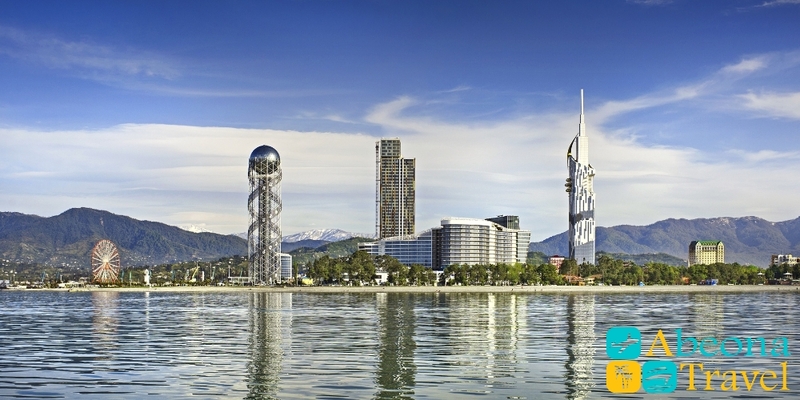 Ali and Nino – moving sculpture on the Batumi quay is one of the most lively and impressive sight of Georgia Black Sea Resort. 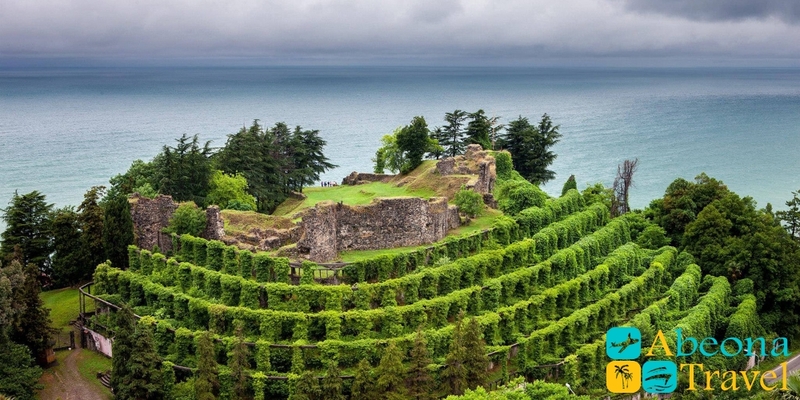 Boulevard – Resort City of Batumi is famous not only for its ancient temples and other historical sites but for seacoast Park, population often calls it Boulevard. In addition: Chacha monument, Colonnades, Summer theater, Nurigel Lake, The 6Th May Park etc. Gelati Monastery founded by David IV the Builder in 1106 in the heyday of Georgian State. Temple is blessed in honored of the Nativity of the Mother God. 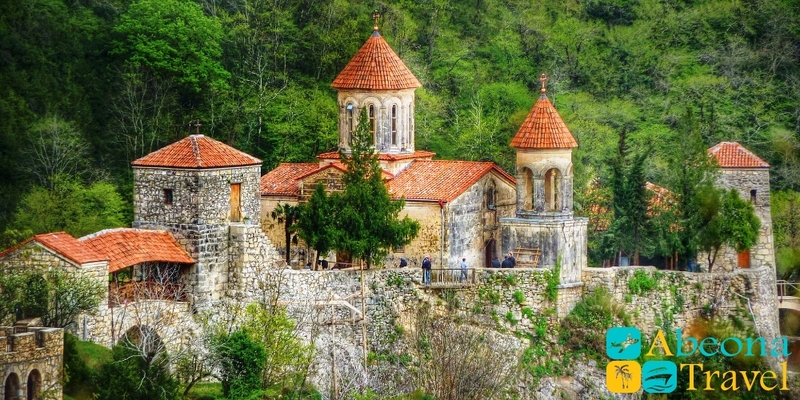 Motsameta Monastery is the one of the bright attraction not only Kutaisi but the whole Georgia. Monastery built on mountain where Georgian princes David and Konstantine Mkheidze refused to accept Islam and were execute by Muslims. Magnificent temple and monastery “Motsameta” was founded here in XI century, which means “martyrs” in honor of princes David and Konstantine who are ranked as saints of Georgia Church. Bagrat Temple built in the reign of Bagrat III, as a main temple of united Georgian Kingdom and consecrated in honor of Assumption of Virgin in 1003. Sataplia National Park Mountain name translated as “place where honey is”. Tourist will view traces of real dinosaurs and Sataplia karst caves. Cave heart can be called stalagmite in the form of heart, here you can make a wish by putting your hands in the hollow of stalagmite. Overnight in the hotel in Kutaisi. Breakfast in the hotel. Trip to Vardzia. 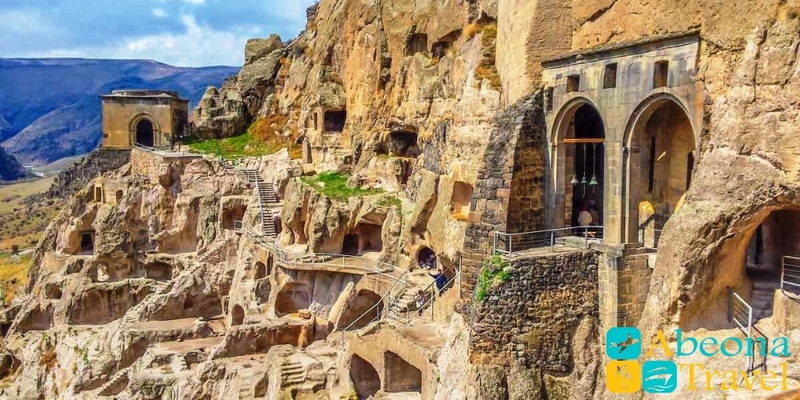 First stop in Vardzia – the cave complex is considered to be one of the main sights of Georgia. 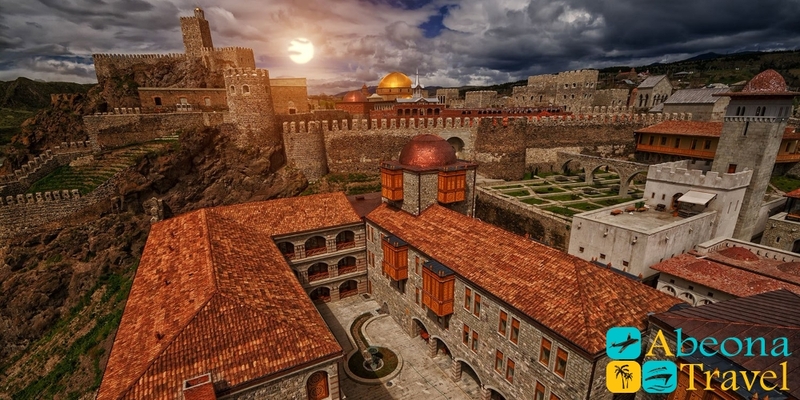 Founded in the 12th century by the greatest Georgian queen, it was an invisible fortress and a refuge from the constant raids of barbarians. Dozen churches, libraries, canalization and longish gismol were constructed in cave town in ancient times. The caves are deepening in the rock, in height count eight stages. 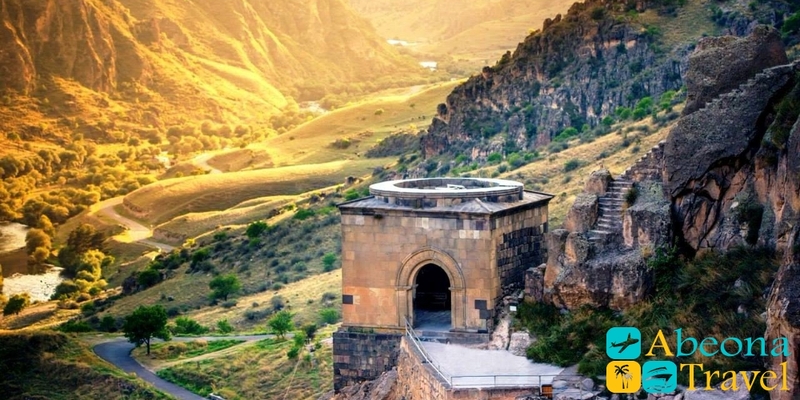 Next stop is Fortress Rabat – an ancient stone fortress is a cultural part of the city of Akhaltsikhe. 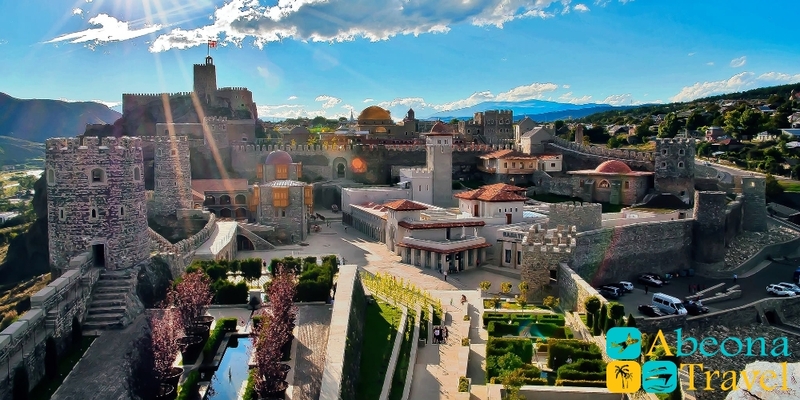 The city was founded in IX century AD and consists of three parts: residential area, fortress and citadel. Fortress was surrounded by three strong walls and was connected to local areas by tunnels. Palace, tower, internal patios with pools and fountains, enfilade, small garden-labyrinth are located within city wall. Breakfast in the hotel. Departure to Batumi. 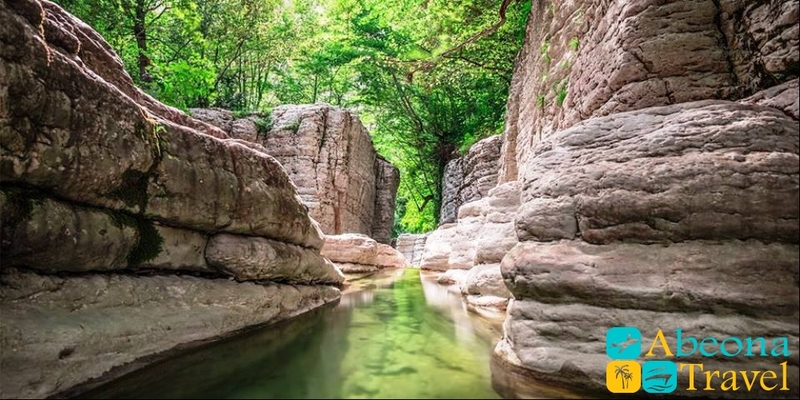 As soon as we will leave Kutaisi on the way we will visit city Martvili, with the main sight – Martvili Canyons which are discovered recently, but have already become the popular rest place for tourists and locals. Beautiful canyon is eroded by limestone’s of Abasha River and consists of two part – Upper and Lower, washed out by mud flat. In the upper part are floating the boat, in the lower part walking and swimming. It is always chill at canyon, even in the hottest summer day. Last stop is in abandoned city Nokalakevi. City ceased to exist during invasion of arab commander Mervan. Before that city was a capital of Egriss Kingdom and Greek administrative centre called Archeopolis. Bronze Age ceramics was founded on site proving that one of the many Colchis cities were situated here. It is likelihood that settlement exists even in XIII BC and namely this was capital of Colchis, where the Argonauts travelled for Golden Fleece. Archeopolis for Georgia is like Troy. Check out. Trip to the airport. We will be glad to see you again in Georgia. Price on Tour to the Past. The prices are given per person.